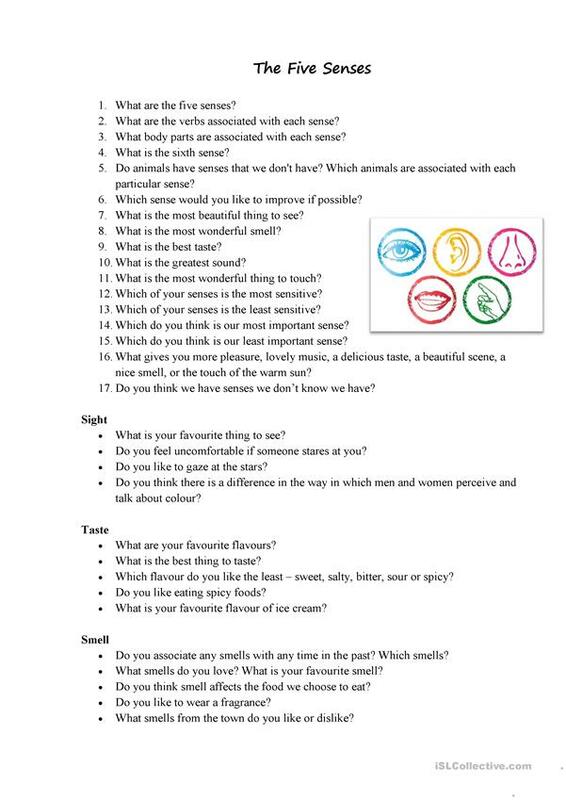 Use the questions to talk about senses, then read some idioms and expressions related to this topic, ask students to translate them. Finally, ask students to comment on the quotes. The above downloadable handout is intended for high school students and adults at Intermediate (B1) and Upper-intermediate (B2) level. 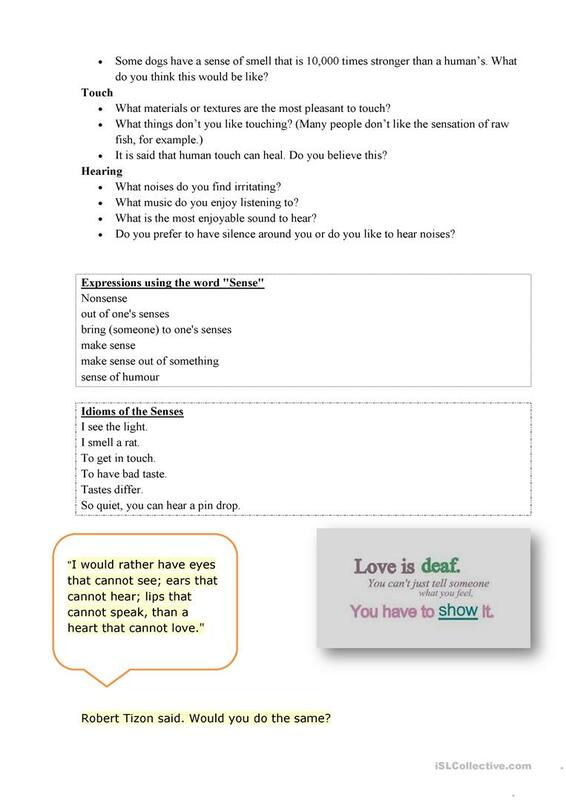 It is useful for enhancing your students' Speaking skills.